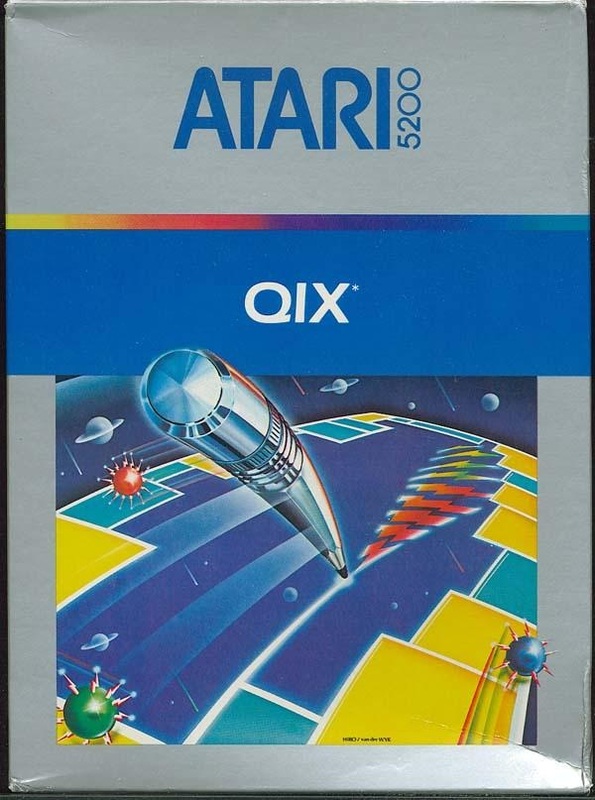 Qix is an arcade game, released by Taito America Corporation in 1981. The objective of Qix is to fence off, or “claim”, a supermajority of the playfield. At the start of each level, the playing field is a large, empty rectangle, containing the Qix — a sticklike entity that performs graceful but unpredictable motions within the confines of the rectangle. The player controls a small diamond-shaped marker that can move around the edges of the rectangle, with the goal to claim as much of the screen as possible via drawing lines. When the player completes a closed shape, the captured area (defined as the side of the Stix opposite to where the Qix is) becomes solid and points are awarded. To complete a level, the player must claim most of the playfield (the game was shipped at 75 percent for level completion, but the arcade operator could adjust the requirement between 50 percent and 90 percent). The player's marker had the option of moving at two different speeds; areas drawn at the slower speed (red on the screenshot shown) were worth double points. The player has a limited number of lives and can lose a life if the Qix touches a line as it is being drawn, or by being touched by spark – enemies that traverse all playfield edges except uncompleted lines. Additionally, a fuse appears if the marker stops moving while in the process of drawing Stix, disappearing when the player starts moving again. The player has no defenses thus all enemies must be outmaneuvered. A time meter located at the top of the screen is responsible for the countdown of the entry of additional Sparx and the mutation of all sparks to Super-Sparks, which have the ability to chase the player even up an unfinished line. After the player completes two levels, the difficulty increases. This includes multiple Qixes and sparks, speed increases, and the eventual appearance of only super sparks. In levels with multiple Qixes, the player can also complete the level by drawing a line that splits the playfield into two regions each containing a Qix, thereby scoring a bonus. Computer Gaming World in 1989 called the computer version of Qix "a fascinating game. It is highly recommended to those who are at one with the universe ... I do love and hate it so"